Here at New Kent Winery at Dombroski Vineyards, we are a family business in every aspect of our operation. From the vineyards to the tasting room, we all work together to deliver delicious wines and superior service. We invite you to take a minute to read our story and learn what we are all about. We look forward to meeting you! A passion for fine wine and a lifestyle surrounded by family and good friends is the reality created by Joe and Jo Anna Dombroski at New Kent Winery. Since purchasing the New Kent Winery in September 2014, the entire Dombroski family has been involved in the success of the winery. Youngest son, Jacob, oversees the development of our many varietals as Vice President of Winery Operations. His wife, Lindsay, is in charge of marketing, and their three young children, Berkley Lane, Jacob Coleman, and Talley Grace, bring their smiles and joy each day. Eldest son, Joseph, designed the new label and handles information technology, Jessica tastes and enjoys with her husband, Kevin Keller, and Joshua helps during harvest time. By working together, the Dombroski family has continued to grow New Kent Winery's operations and vision for the future of Dombroski Vineyards. They recently planted over 10 additional acres of vines and added an additional wedding venue, the Vineyard Estate at New Kent Winery. In May 2015, they opened New Kent Winery's Wine Club, which gives members exclusive benefits such as limited release wines, discounts, and access to special members-only events. And in May 2017, New Kent Winery was awarded an Excellence in Business Award from the New Kent Chamber of Commerce for helping make New Kent County a destination for wine lovers, fun seekers, and guests from all walks of life. Being a family-owned business in a lot of work, but it honestly doesn't feel like a job when you are surrounded by the people you love every day. So, from our family to yours, we invite you to visit us at New Kent Winery. We look forward to meeting your family! The winery was built by craftsmen of historic materials reclaimed from buildings and structures well over a century old. Beautiful heart-pine trusses came from a 1901 Southern Railroad Depot located in Richmond’s Shockoe Bottom. Heart pine structural timbers and floor timbers were recovered from a Connecticut warehouse circa 1852. The stunning exterior facade boasts handmade, pre-Civil War bricks and siding and roof shingles were milled from cypress logs that had been submerged in Florida rivers for more than 150 years. 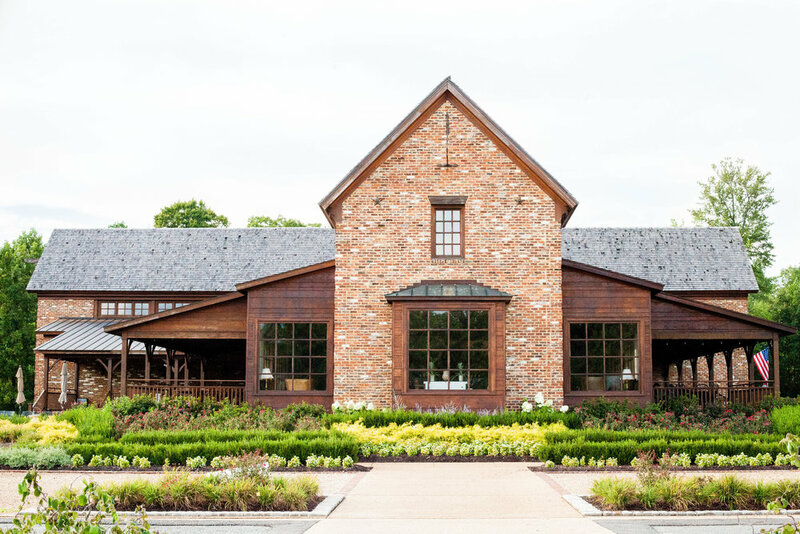 An impressive entrance porch leads to an expansive Tasting Room that features a ceiling of exposed heart pine wood beams, a floor of Eucalyptus wood and an elegant tasting counter that can accommodate 22. Large windows provide sweeping views of the vineyards. Tastings of New Kent wines and small plate selections are available and can be enjoyed on the spacious outdoor patios and lounging porches, all surrounded by beautiful landscaping. New Kent’s 17,000-square-foot winery is equipped with state-of-the-art winemaking equipment from around the world where winemaker, Tom Payette, continues to share his knowledge and guidance to produce fine wines. The vineyards adjacent to the winery were planted in 2001 and currently there are 31+ acres under cultivation with Cabernet Franc, Merlot, Chardonnay, Vidal, Norton, Petit Verdot, Malbec, Tannat and Cabernet Sauvignon varietals. The planting of six additional acres in Spring 2016 helped the Dombroski Family move toward their goal of 50 acres in the next few years. New Kent Winery at Dombroski Vineyards currently produces approximately 6,500 cases of wine each year, with a goal of 10,000. New Kent Winery is part of the most luxurious and exceptional private community in Virginia Wine Country. 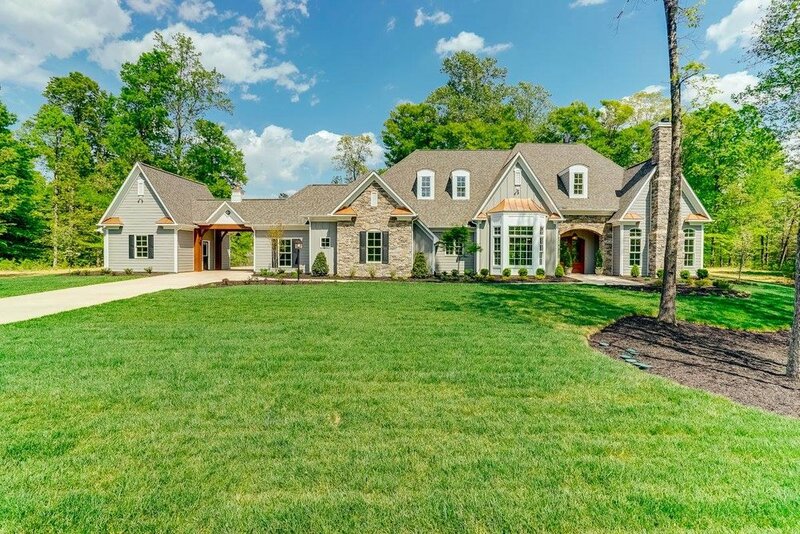 Viniterra epitomizes upscale living at its finest with estate-sized homesites surrounded by acres of unspoiled beauty and a championship golf course. The Club at Viniterra is a championship golf course designed by Rees Jones, one of the world's most respected golf course architects and a longtime advocate of environmentally friendly design. Built with innovative water-conserving systems, The Club at Viniterra saves as much as 80% of the water consumed by traditional courses and exclusively uses drought-resistant Celebration hybrid grass. Rees Jones has designed or redesigned more than 100 courses. He is a past recipient of the Old Tom Morris Award, the highest honor given by the Golf Course Superintendents Association of America, for his lifelong commitment to the game. New Kent Winery is proud to partner with many great Virginia businesses to support tourism around the state. Please click the images below to learn more about each of the businesses that New Kent Winery has partnered with to bring handcrafted wines to their audiences.